No one likes to be oily or greasy all the time. You're more prone to acne, and even look shiny through the day. Having a perfect skincare routine for your skin type is the solution to all your problems and the backbone to that is a clean face. Finding the ideal face wash becomes vital to this and you can bid farewell to feel sticky every second. The key is using one which mattifies your face without dehydrating it. 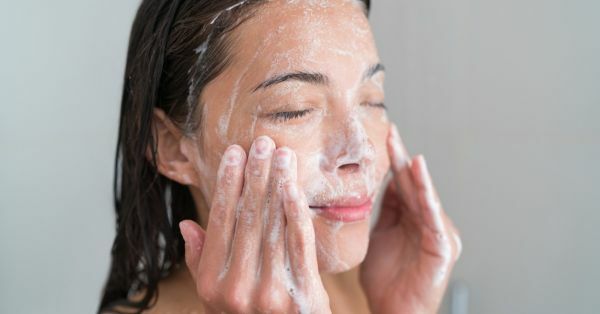 To help you in this we've listed down the top face washes for oily skin type that'll solve all your skin issues. 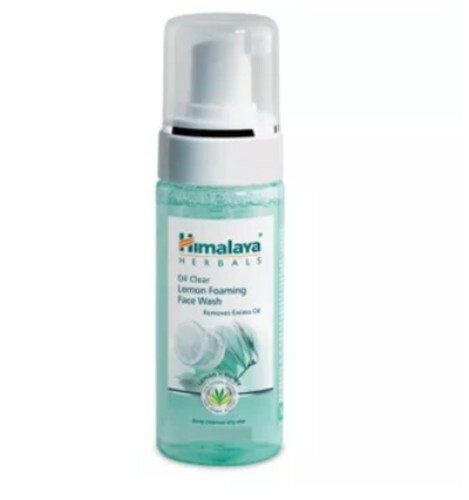 Himalaya's Oil Clear Lemon Face Wash is a soap-free, herbal formula that is a gentle cleanser for your face. It removes impurities and excess oil without stripping the face of its natural hydration. It's got lemon, which acts as an astringent and cooling agent, along with honey which has organic deep cleansing properties. It also has antimicrobial agents that kill bacteria leaving you with a squeaky clean look. This daily face wash is ideal for blemished skin and gives clearer-looking skin when used in conjunction with a regular routine. It helps remove excess oil and sebum without overly drying the skin. It gets rid of impurities and is even clinically proven to give clearer-looking skin. Tea tree as an ingredient is a magic potion for acne prone skin as it is antifungal, antiviral and antibacterial. This gentle, soapless and paraben-free formula cleans and purifies your skin while also respecting its natural pH levels. You feel refreshed and the facewash even regulates excess sebum from being produced. It mattifies your skin and is perfect for combination to oily types. The thermal spring water gives a soothing and softening effect on irritated skin. You can use it alongside a toner and face mask for the best results. 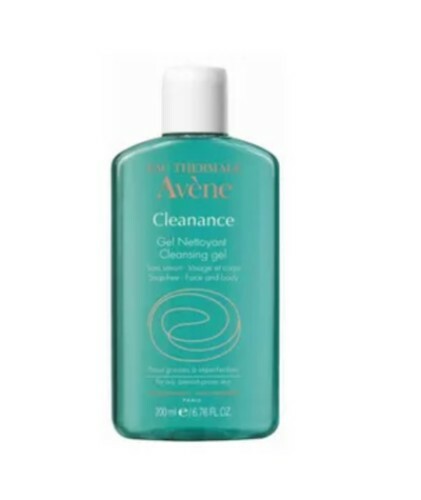 This is a part of Clinique's three-step skin care treatment for oily skin and is a gentle facewash which cleans thoroughly. It's soft, non-drying and removes dirt and debris and protects the skin's moisture balance. Your face feels refreshed and comfortable but not dry and taut because it doesn't completely strip it of its natural oil. It has no parabens, no phthalates, no fragrance so it is natural and friendly for the skin. You can use step 2 and 3 from Clinique for best results. 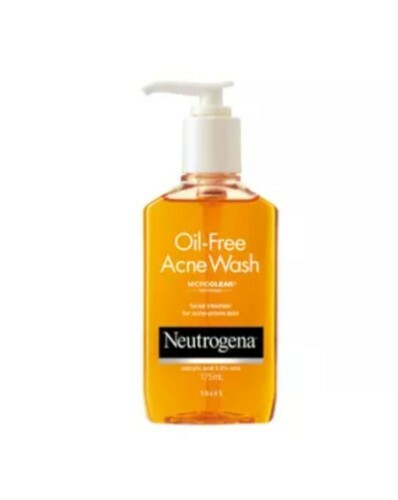 Another facewash for acne prone skin is this oil-free Neutrogena product. It is gentle on the skin yet is very tough on acne and cleans skin from deep within. It contains salicylic acid which is perfect to get rid of acne and even prevents future breakouts. 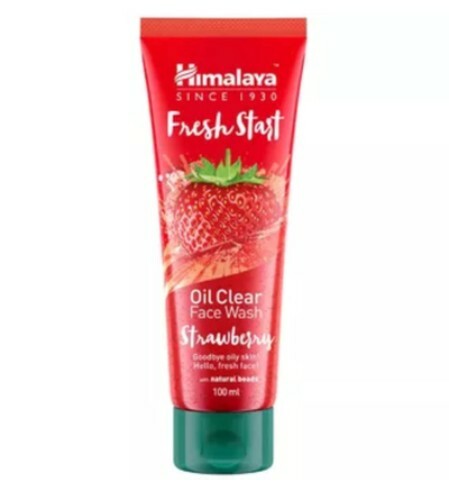 It is gel based and lathers up easily so getting rid of excess oil, makeup, dirt is easy-breezy! 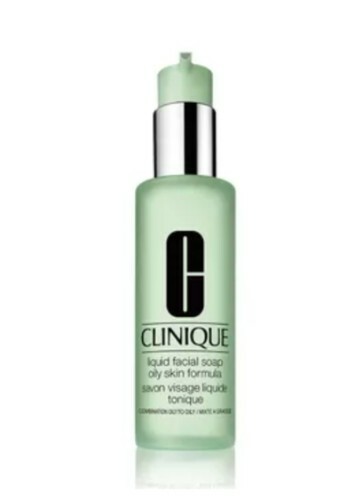 Pamper yourself and indulge in this non-drying formula and feel rejuvenated. 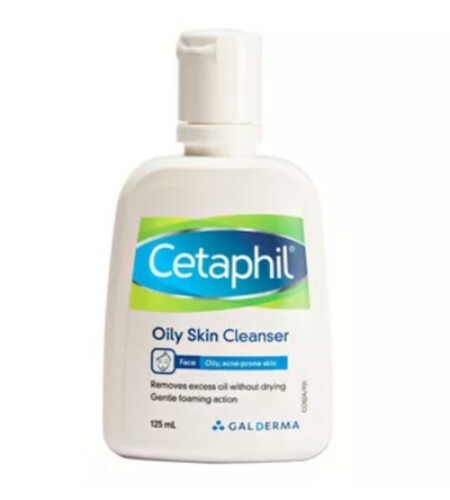 Cetaphil is one of the most gentle cleansers that is sure to remove almost all the excess oil, dirt and makeup without drying out the skin. It reduces facial grease and cleans out clogged pores deeply and completely. It is a non-irritating formula that again maintains the natural pH level and has even been dermatologically tested. 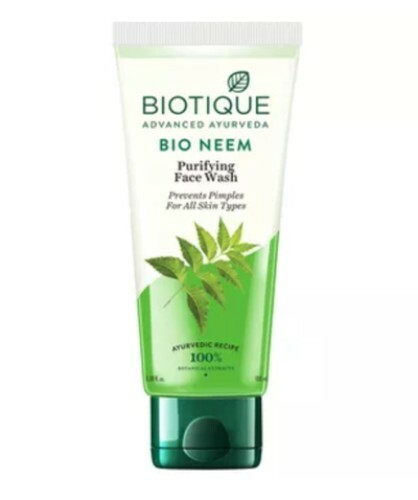 An Ayurvedic brand, this neem facewash from Biotique is fresh-foaming, soap-free and antibacterial, so perfect for oily skin. The neem is blended with extracts of ritha and kulanjan and removes impurities, prevents pimples and purifies the skin keeping it pimple-free. Neem has been an age-old ingredient used as an antiseptic and anti-fungal and anti-bacterial agent and works wonders for acne. The ashwagandha mixed in it stimulates the production of collagen and boosts estrogen levels in the body which triggers youthfulness and regulates the natural oil production of the skin as well. 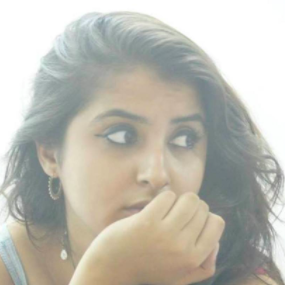 What's a better combination than tea tree and neem for oily skin? This herbal facewash gets the best of both worlds for you and is natural and organic. Neem is known for its anti-bacterial properties and tea tree for its lightening properties so together they are a magic potion for acne. On one side, you're cleaning the skin from deep within and on the other, you're lightening acne scars and bringing out your natural complexion. 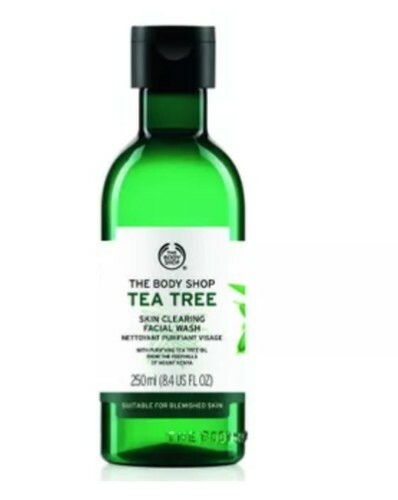 Tea tree even helps reduction of secretion of sebum and excess oil and blemishes are fought off too! A fresh blast of strawberry to start your day keeps the oil away! You can kick-start your morning with this oil-free Himalaya facewash and the energizing beads will help with that much-needed boost. It washes off oil and dirt and gives glowing, healthy and refreshed skin. It's non-greasy and perfect for normal to oily skin types. Specially made for acne-prone skin and oily skin types, this Kaya facewash is enriched with salicylic acid that clears pores and removes oil. 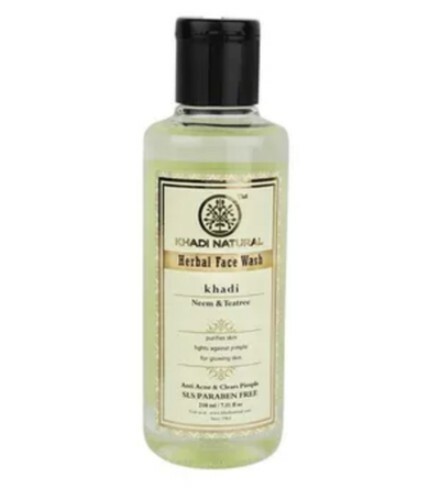 It cleans pores deeply and hence fights oil, dirt, and impurities. 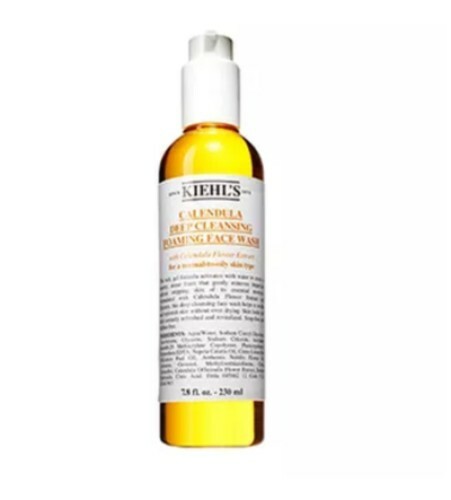 It is best used with the Kaya toner for oily to combination skin and the moisturiser as well. Together all these can combat all T-zone problems of clogged pores, excessive oil production, and acne. Again a very gentle formula which removes dirt and impurities that are clogging pores and is safe for sensitive skin. It has got a creamy gel-like consistency and when activated with water foams up to give the skin a rich, fresh and revitalized glow. It is soap and paraben free, say hello glowy skin! Bid goodbye to greasy and shiny skin and say hello to flawless and healthy skin, instead!